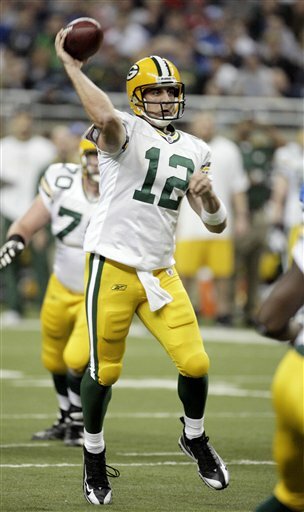 The Packers increased their 2009 playoff chances in a big way by defeating the Baltimore Ravens 27-14 last night. In Green Bay’s second true test from the AFC, their top-ranked defense stifled Ray Rice and Joe Flacco while Aaron Rodgers passed for 263 yards and three touchdowns. The win pushed the Packers to 8-4 and they currently own the sixth seed in the NFC if the season were to end to day. While the Falcons stumbled in a big game against the Eagles, the Giants, in a do-or-die situation, defeated the division leading Cowboys at home and kept their playoff hopes alive. The division leaders outside of the NFC East continue to gain ground on second place, with the Saints clinching the South last weekend. In addition, the Vikings’ magic number is two over the Packers and the Cardinals hold a three game lead over the 49ers with four games to play. Due to a Week Nine victory in Philadelphia, the Cowboys hold a tie-breaker over the Eagles for the lead in the NFC East at 8-4, with the Giants sitting just one game out at 7-5. The Falcons are 6-6 but reeling fast so, for now, they will not be in the playoff discussion. So the question for Packers fans is who to cheer for the rest of the way? 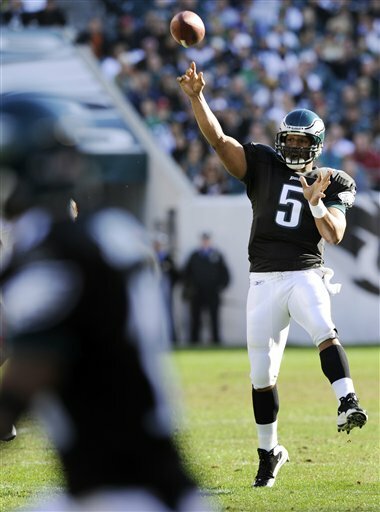 The Philadelphia Eagles have put together a fantastic season and have themselves in great position to take a Wildcard spot this year. Their 8-4 record has them tied for first place but more important is their 7-2 conference record, which gives them the first tie-breaker advantage after head-to-head match-ups. The Eagles have away games at the Giants and Cowboys left on the schedule and home meetings with the 49ers and Broncos sandwiched in between. If the Eagles can defeat the Giants next week and the Packers take care of business in Chicago, the Giants would be two games out of the last Wildcard spot with three games to go and also have a lackluster 5-4 conference record, meaning their shot at the playoffs would be all but over. Just as it was for the Falcons last week, the Packers would love to see borderline teams lose and fall out of the playoff race. Once this happens, the Packers can focus on moving into the fifth spot instead of wondering if they will get in. Another factor that comes in cheering for the Eagles is the hope that they can catch the Cowboys in the NFC East and move Dallas into a Wildcard spot. The Packers’ head-t0-head victory against the Cowboys in Week 10 puts them ahead of them in any situation, assuming their records are the same. Not only would this help the Packers make the playoffs, but they would move up to the five seed, giving them a slight chance of avoiding the Saints at home. So now that we know what we want to happen, what is likely to happen? Looking at the Packers remaining schedule, it seems they could start Matt Flynn and at least go 2-2. While the rivalry between the Bears and Packers allows for anything to happen on a given Sunday, the two teams are headed in opposite directions and it should be a win for Green Bay. Seattle is not a pushover but their 1-5 record outside of Seattle suggests that a snowy Lambeau Field will be rough going for Jim Mora and company. Even the Steelers are looking very beatable right now, especially if Troy Polomalu is still out when the two teams meet in Week 15. One team the Packers are sure to watch are the Cardinals, who sit at 8-4 and have a very favorable schedule remaining. While their NFC West crown is all but theirs, beating out the NFC East Division Champ would ensure the third spot in the playoffs and a guarantee of missing the Saints in the Divisional Round. After playing the 49ers this week they play back-to-back games against the Lions and Rams, meaning 11 wins would almost be a given if they can take down San Francisco. With three NFC East inter-division games still to be played, 11 wins should wrap up the third seed for the Cardinals, meaning their Week 17 game against the Packers would have no meaning. With the Eagles playing the Cowboys and the Cardinals playing the Packers in Week 17, there’s a chance those same match-ups occur that next week in the first round of the playoffs. The Giants could make things very interesting if they beat the Eagles next Sunday night. With the Redskins and Panthers still left on the schedule, they have the potential to get to 10 wins in the next three weeks. They then play the Vikings in Week 17 who would be playing for nothing and would more than likely rest their starters. However, the Giants’ aforementioned conference record of 5-3 means a loss to the Eagles would basically take them out of theplayoff equation. The Cowboys have the toughest schedule remaining of any team in the NFC with home matchups against the Chargers and Eagles and a trip to New Orleans. Even a road game against Washington looks a little more difficult than it did a month ago. Because the Giants have defeated the Cowboys twice, there is an outside chance they can leapfrog Dallas for the last spot. Packers fans should hope the Cardinals win their next three games while the NFC East opponents beat up on each other the rest of the way. Where it stands right now, it looks like ten wins should get the Packers into the playoffs. Looking at the schedule, that is a very reasonable goal and one that could be obtained before the last week of the season.